According to the latest Media Create sales charts, Persona 5 currently sits at 427,795 copies sold across PlayStation 4 and PlayStation 3. Not quite Yo-kai Watch numbers, but still reasonably impressive given that Atlus titles have never been sales juggernauts. Even more impressive is that Persona 5 is now Atlus' best selling game ever in Japan - and it's only been on store shelves for about three weeks. Previously, the publisher's best selling title over its 30 year history was the very first Persona, which released all the way back in 1996 for the original PlayStation. Persona 5 is due to launch on the 14th February 2017 here in the West, but will it be a hit? Let us know how well you think that it'll do in the comments section below. Looks like we can expect Persona 6 sooner then later, can't wait until February! 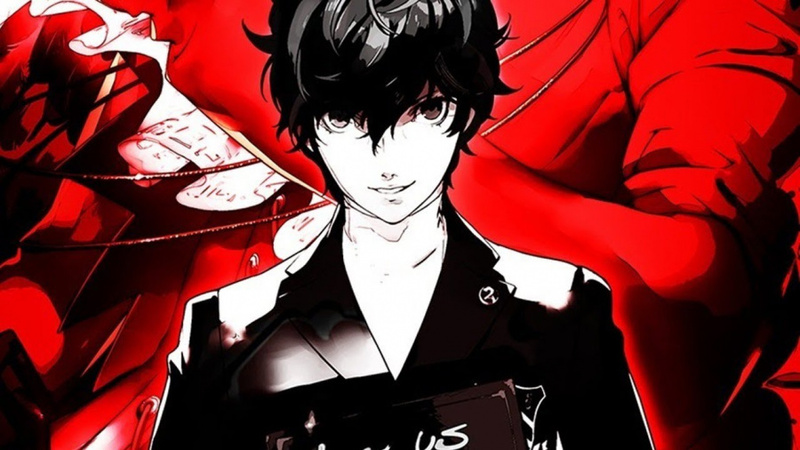 I expect Persona 5 to be Atlus' biggest game overseas as well. Persona as a brand is much less niche than it used to be and it's releasing on the most popular platform in the West while the system is still alive and healthy. This is half a mill in Japan alone, which usually doesn't sell games this fast in this region. It's gonna fly off the shelves in NA. Biggest release on PS4. Cant wait! Any idea what the game is like from Japanese reviews? @adf86 Famitsu gave it a very very high 39/40. Not to be a negative nancy but how many atlus games sold over million copies? I know out of the persona series only Persona Vita sold 1 million. It's interesting and sad how Atlus sales are small, specially talking about a company that excels in quality. 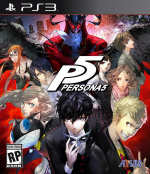 That said probably P5 will sell like Fire Emblem Fates. West is caring more about Jrpgs and PS4 is very popular right now, and P4G sold over a million on VITA which is kind of bizarre. Well if they want to get sell then maybe they should ask the people behind No Man's Sky, that game sold millions in the first week! But if you want to get serious I know an Atlus game I would like to see a sequel of and thats Dokapon Kingdom, look it up! Might be a fun game you and your friends can play together! Its a Board Game/RPG hybrid. Unknown Gem in my eyes. At least there's an emerging console market for JRPG's in Japan now with PS4. It pained me greatly to watch Tokyo Mirage Sessions #FE, an Atlus/Nintendo collaboration of Shin Megami Tensei and Fire Emblem (2 of the biggest heavy hitters in Japan) flunk the sales charts like some below average game or something. I think Wii U owners just don't know good games sometimes. Xenoblade X too, probably the best JRPG of this console generation. Scraping by just to hit 1 million globally. But then you look at the Sakaguchi JRPG's (creator of Final Fantasy- he's the reason Final Fantasy was so amazing up through X), and when he made Lost Odyssey for Xbox 360 it barely broke a million, globally. And there were what, 80+ million 360 owners? And now with BC support too, and how many Xbox gamers are supporting this game (arguably the greatest JRPG of all time)? Or The Last Story on Wii- the other Sakaguchi exclusive. Did that one even break a mil? Out of 100 million console owners? Thank goodness PS4 gamers stepped up to the plate. It's the only way we'll see more high quality console JRPG's. That's great news! Both P3:FES and P4 were definitely among some of my favorite RPGs that I've played and P5 is definitely the game I'm most looking forward to next year. Hope it does well sales wise in the West too. @JaxonH #FE is very nice but extremely niche. Just the other day I saw a couple looking at the game box wondering what it might be.The clerk told them it was a rhythm game. As a big fan of SMT proper, I'm so sad that I'm abysmal as the visual novel segments of Persona. I couldn't get into the story as a result. I'm not criticising the game. I was just so lost. I'm gonna have to skip what's probably a great game. Idk, it's just depressing seeing some of the greatest JRPG's I've ever played sell so poorly time and time again. It's depression seeing Mistwalker involved in mobile. That's not where they belong. But the money, I understand. This might well be my most anticipated game at the moment. P4 Golden was so good! @JaxonH I totally understand what you mean! Sakaguchi is really wasted on mobile ;_; You gotta give to Final Fantasy that it actually tries hard, though. It has its name sure, but it also comes with a budget / production value that is comparable to big Aaa western titles, so it obviously attracts more gamers. That said, if Persona 5 and XV fare well in the West we could see a jrpg revival of sorts, giving the #FE of the world a chance to shine. @JaxonH I agree that it was sad to see such good games do so poorly, but I think the big difference there is that the Wii-U's installed user base is so small. I mean, it hasn't even reached Gamecube levels yet, that's how bad it is. Very few people are buying a Wii-U just to play #FE and Xenoblade had the same problem on the system despite how well received it was. Lost Odyssey totally released on the wrong system at the wrong time - look at the typical 360 player's library from that time period and I don't think you'll find a lot of RPGs, especially JRPGs. As for the Last Story... it hit too late in the Wii's cycle when most people who would have cared had already ditched the system. Anyway, it's nice to see Persona 5 doing well. I can't wait to play it. Anyone know if there's word of an anime tie-in? The P4 anime was excellent and I'd be pumped to see P5 get the same treatment. 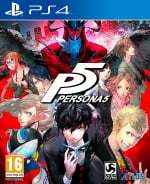 From my perspective, as I am playing P5 right now, is that it is definitely quite a bit better than P4. The story is more engaging and also more adult than P4. The setting is darker as well. I love that game, it is definitely one of my most loved games so far on the PS4.